North Korea Phone Card update - At the end of last year we were told by Pyongyang that travellers in North Korea would be able to take in their phones and use a KoryoLink (the North Korean mobile phone network company) SIM card to make calls abroad and to foreign embassies in the DPRK. This has now been confirmed and the idea of a North Korean SIM card available to foreigners is already a reality. When entering North Korea travellers have been asked to leave their phones at customs (if entering by plane) or had their phones sealed in an envelope by customs when entering by train. So how does using a North Korean SIM card work? Upon arrival at the airport in Pyongyang in you will be able to purchase a Koryolink SIM card. This will allow you call abroad, including the US and Japan, and local hotels in North Korea as well as foreign embassies in Pyongyang. Calls to South Korea cannot be made. Please note that although travellers will be allowed to take in their mobile phones into North Korea, these will not be able to be used as there will be no network coverage for foreign cards. Please note that it is possible to phone to North Korea if you may need to have relatives or friends contact you at your hotel. It is also possible to call from the hotel abroad though you should ask about the phone call rates given that this can range from 0.70 Euros per minute to 6 Euros per minute depending on where you want to call to from North Korea. We will keep this space updated regarding the use of mobile phones in North Korea. Please feel free to leave a comment in our North Korea Travel Forum if you have any questions regarding North Korea phone card usage. 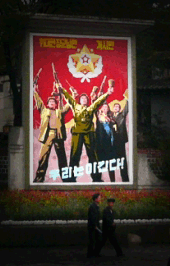 Please click on our DPRK FAQs page for more information other than North Korea TV.